Smart contract is a term that gets thrown around quite often in the Bitcoin community, but the reality is not many people truly understand why these types of cryptographic contracts are useful and secure. Smart contracts can come with varying levels of complexity, and one of the most widely-used smart contracts right now is a basic Bitcoin transaction. 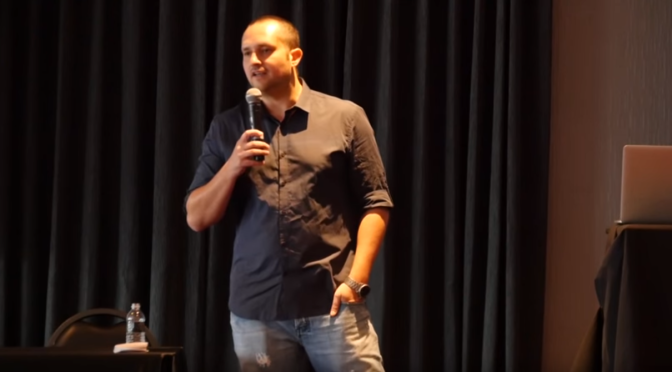 At the recent Bitcoin Investor Conference in Las Vegas, Stash Co-Founder Chris Odomexplained the key attribute of a smart contract that makes it different from a legal contract. In short, smart contracts do not require a court or a judge to be enforced. Not only do these types of contracts not operate within the current legal system, but as Odom explained, it is sometimes impossible to enforce the rule of law on what is essentially nothing more than computer code. Kyle Torpey is a freelance journalist who has been following Bitcoin since 2011. His work has been featured on VICE Motherboard, Business Insider, RT’s Keiser Report, and many other media outlets. You can follow@kyletorpey on Twitter.